Twenty - nine (29) years of medical field technical experience in all modalities. Familiar with JACHO standards, FDA regulations, and customer requirements. Twenty-nine (29) years of cardiovascular experience in Philips equipment. Ten (10) years experience with Siemens vascular, GE Rad, and R/F equipment. Maintained the highest level of quality with a proven record of accomplishment of exceeding goals. Started the first multi vendor contract for Philips, maintained, and managed for a total of ten (10) years. Provide onsite and phone support for all my internal and external customers. Mentor and teach service support to the field engineers when new developments are presented by PMG. Assist with First of Kind (FOK) systems, upgrades, catalyst projects, and one of a kind solution. Assist with function problems, power, grounding and issues with the performance of the equipment. Provide all the same support as per the IXR/Cardiovascular Regional Technical Support with more time in field. 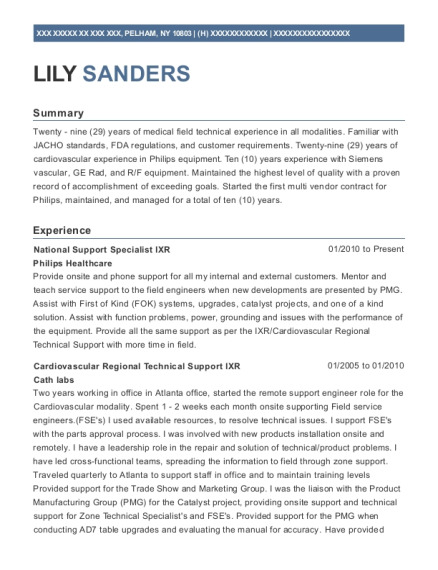 Two years working in office in Atlanta office, started the remote support engineer role for the Cardiovascular modality. Spent 1 - 2 weeks each month onsite supporting Field service engineers. (FSE's) I used available resources, to resolve technical issues. I support FSE's with the parts approval process. I was involved with new products installation onsite and remotely. I have a leadership role in the repair and solution of technical/product problems. I have led cross-functional teams, spreading the information to field through zone support. Traveled quarterly to Atlanta to support staff in office and to maintain training levels Provided support for the Trade Show and Marketing Group. I was the liaison with the Product Manufacturing Group (PMG) for the Catalyst project, providing onsite support and technical support for Zone Technical Specialist's and FSE's. Provided support for the PMG when conducting AD7 table upgrades and evaluating the manual for accuracy. Have provided support for installations and FOK's. I started training in image quality (IQ) 22 years ago, with update IQ courses for Flat Detectors (FD), and have been maintaining and providing image quality for Cath labs since. 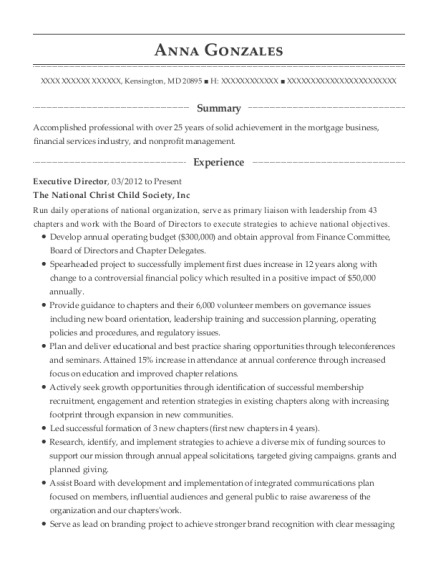 This is a resume for a National Support Specialist IXR in PELHAM, New York with experience working for such companies as Philips Healthcare and Cath labs. 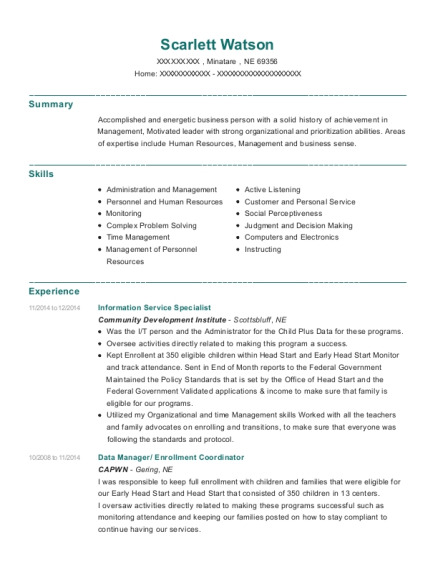 The grade for this resume is 0 and is one of hundreds of National Support Specialist IXR resumes available on our site for free. 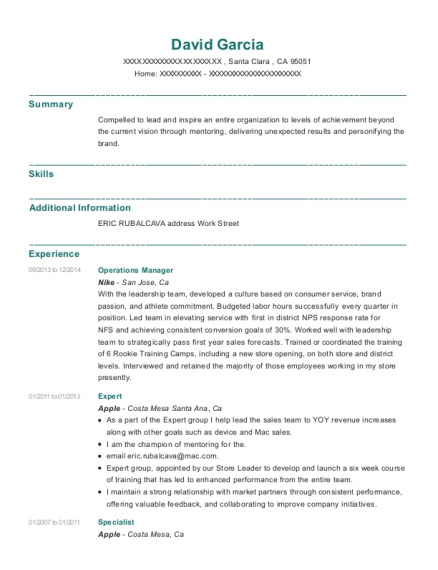 Use these resumes as templates to get help creating the best National Support Specialist IXR resume.